The Spanish team led by Luis Enrique is going to face the Italian team this time. The teams would meet the third time in the history of the trophy. First, they met in 1997 in which FCB defeated Sam on penalties. At the second time, the Italian side won in 2012. Let’s see who makes it 2-1 with this today’s match. Both the sides have a great history in the football sport. Barcelona won its first ever European Cup which is now termed as UEFA Champions League in 1992. They defeated Sampdoria with 1-0 in Wembley. Ronal Koeman of FCB was the star player who scored the maiden goal of the game with his beautiful free kick in the extra time. Tonight, the star players like Neymar and Rafinha will be absent as they are participating in the Rio Olympics 2016. However, even without them, the team has players likes of Lionel Messi, Luis Suarez, and Andres Iniesta. They will back their side. In addition to them, there are young players like Denis Suarez, Samuel Untiti, Andre Gomes, and Lucas Digne. They all would be seen in action in today’s match. Barcelona has played an okay preseason so far. In their course, they have beaten Celtic and Leicester City. However, they lost to Liverpool by a score 4-0. That was really a shameful loss with such a huge difference. 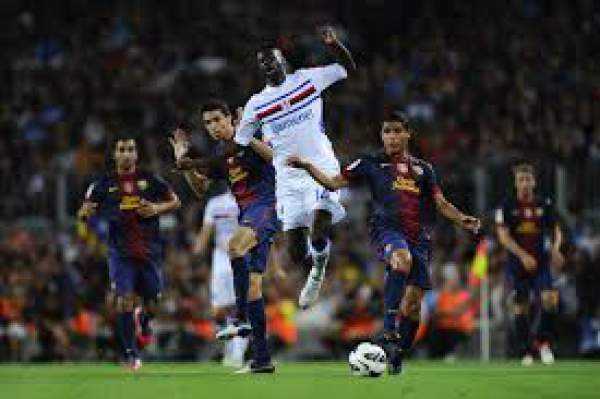 On the other hand, Sampdoria who is ranked #15 in the Serie A last time, they have beaten up Italian side Chievo in their preseason game and then lost to Spanish side Malaga on penalties. Barcelona: Ter Stegen; Vidal, Pique, Umtiti, Alba; Roberto, Busquets, Gomes; Messi, Suarez, Munir. Sampdoria: Viviano; De Silvestri, Silvestre, Regini, Sala; Barreto, Palombo, Linetty; Schick, Muriel, Quagliarella. JoanGamperTrophy2016: Barca vs SAM is set to start at 7.30 p.m. CET (12 a.m. IST, 2:30 p.m. EST) from the Camp Nou on Aug. 10. Meanwhile, who do you think will win? Come back for the match result, full video highlights, scorecard, and much more. Don’t forget to share it on social media sites. Stay tuned to The Reporter Times for latest football news and all other sports updates around the world.